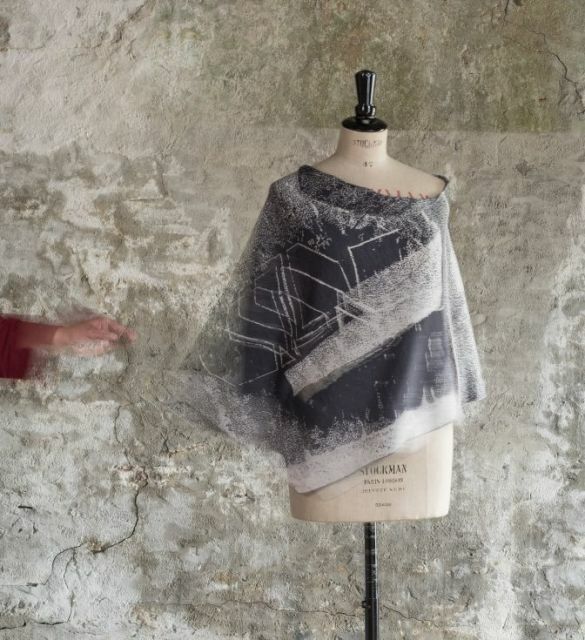 This luxurious 100% merino wool cape is part of the Byre Collection by nielanell, a collection of knitwear inspired by the kilnformed glass artwork created by artist and architect Karlyn Sutherland for Permeable Structure, a site-specific exhibition in northern Scotland. Shetland-based textile designer Niela Kalra combines artistic expression with functionality to create distinctive collections in luxurious wool combinations, silks, and cashmere. The Byre Collection is available exclusively through Bullseye Projects and nielanell.